Happy National Vegetarian Awareness Month to all my Vegetarian Readers! This month, you can celebrate being vegetarian (or the vegetarian friends you have!) with bold new cooking tools from Crisp that make fruit and veggie prep a breeze. Each tool h as a unique solution to solve food-prep problems of the past, are ergonomically designed for a safe, steady fit to your hand, and add a bit of style to the utensil drawer. 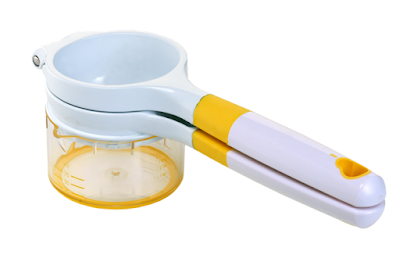 Easy to measure, easy to pour and easy to use, the Crisp™ Citrus Squeezer helps you add zing to all your favorite recipes. The Crisp™ CITRUS SQUEEZER was designed as much for functionality as it was for beauty. Recipe call for two tablespoons of lemon juice? Skip the store-bought container and squeeze it fresh yourself—eliminating the possibility of processed and unnatural ingredients that could be included in store-bought lemon juice. The best citrus squeezer is a sleek and attractive kitchen gadget, which allows you to squeeze out just the right amount of juice from all your favorite citrus fruits—whether it's a lemon, lime, or an orange. Even though this is a manual citrus press, the generously sized handles are easy-to-grasp for a sure and steady grip as you are operating this handy kitchen tool. 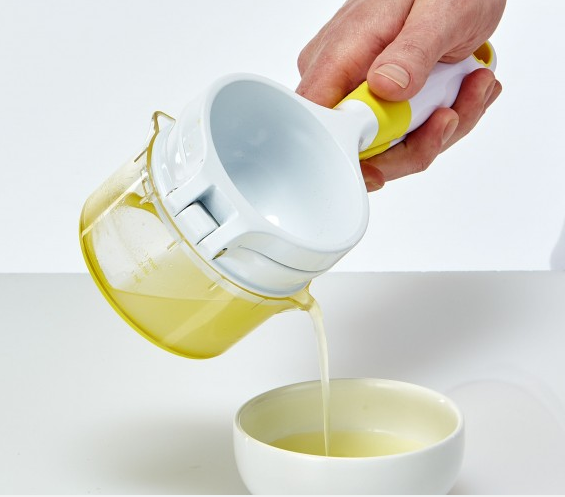 The collection container has handy measurements so you can add the freshly squeezed juice right to your favorite recipes and the convenient pouring spout helps eliminate drips and spills. It is the perfect addition to your kitchen gadgets! I am new to using citrus in recipes and for awhile I was squeezing the lemons with my hand into a tiny measuring cup! What a MESS! I think I wasted more than I kept! 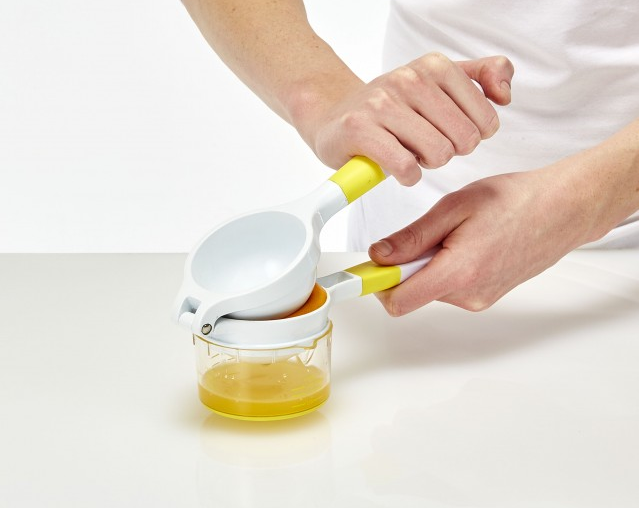 When I saw this Citrus Squeezer, I saw my life get a whole LOT easier! Not only can you squeeze the citrus fruit easier but it also easily measures it for you so you know when you have enough for your recipe!! I LOVE THAT! It is a large size so it really can handle your citrus fruits, even oranges! This is definitely a must have in any foodie's kitchen! You can purchase the Citrus Squeezer for $29.99 from the Crisp website.